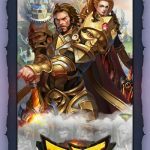 Dungeon Gems, which works on iOS and Android devices, is one of those games that come with the all-too-common “easy to learn, hard to master” disclaimer in their descriptive blurb. 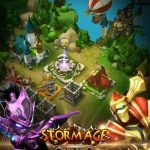 This Gameloft title will have you matching Elemental Runes to trigger attacks from your team of heroes. You can choose from up to 220 “powerful RPG heroes” powered by different kinds of Runes, with each of them having their own skills and elemental attacks at their disposal. Sounds like your type of game? 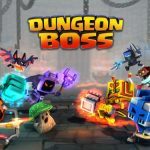 If it is, then you should check out the following Dungeon Gems strategy guide, which will help you to get a head start on your friends and master the game before they do. This doesn’t just apply when choosing your characters; it also applies when you’re battling enemies, as you need to choose a character from the right class in order to defeat certain enemies in the game. Before you head out into battle, make sure you’ve got a good mix of heroes in your lineup. This covers all bases ahead of the fight, and gives you assurance that you’ve got the right type of hero to match up with specific enemies. If you’re a new player, you may be confused at first about the different gems and how they can impact your enemies. Simply tap on a gem to “test” its attack power and see how it would work against an enemy. But also remember how these gems impact the bad guys, so that you can have a clear understanding of how gems work in attacks. űJust like phoning a friend acts as a “lifeline” on Who Wants to Be a Millionaire, the same applies in Dungeon Gems, in the form of friend heroes. These are, literally, your friends’ heroes, and they can help by making your attacks more potent, as long as they represent a different gem type. 5. Enhancing Or Evolving Your Heroes – How Does This Work? Eventually you’ll find yourself adding duplicate heroes to your team. That’s not exactly something you’ll want in Dungeon Gems, so what you can do is to sacrifice new duplicates to enhance an existing one. Once a hero has been enhanced, they’ll have a higher attack rating. You can get the same effect by evolving your heroes, but the drawback here is that it’s going to cost you some (or a lot of) coins. Dungeon Gems will occasionally invite you to take part in limited time events; these are optional, but highly recommended, as these events give you a chance to fight for rare heroes. 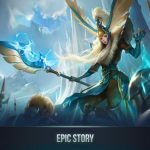 The events may often be quite challenging, but they’ll be worth it, considering that rare heroes are invariably more powerful than common ones.